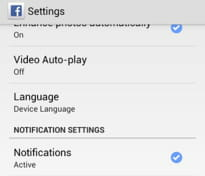 By default, the Facebook app for Android will run in the language option set on your device. 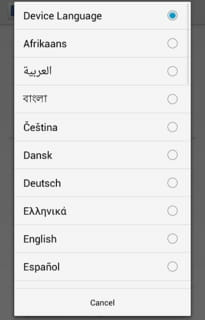 However, if you'd like to use a different language on the application, you can adjust your language settings in just a few simple steps. Here's how to do so. Open the Facebook app and tap the Menu option. Then, scroll to Help and Settings. Your new settings will be applied right away. Published by jak58. Latest update on October 12, 2016 at 11:52 AM by Olivia Long. This document, titled "Change Language on Facebook App for Android," is available under the Creative Commons license. Any copy, reuse, or modification of the content should be sufficiently credited to CCM (https://ccm.net/).